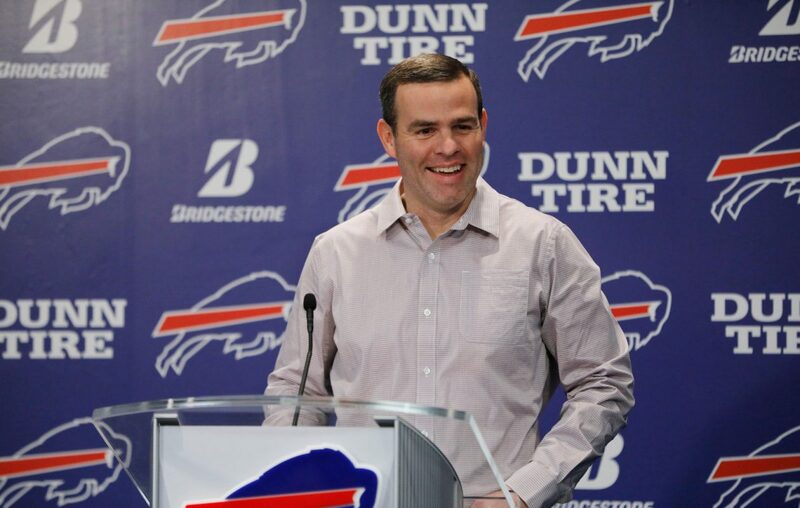 Brandon Beane didn’t have a calculator with him at the podium Thursday, so the Buffalo Bills’ general manager had to ballpark the remaining amount of salary-cap space his team has. That figure has gone through plenty of changes over the past few days, as Beane agreed to contracts with eight different unrestricted free agents. Despite that flurry of activity, though, the Bills still have room to do just about whatever they want with what’s left of free agency. Beane estimated that the remaining cap space is somewhere in the “high 30s or low 40s (millions)” which means there isn’t a player who is out of the Bills’ price range. The last part of that is key. Beane structured the team’s deals in a way that takes advantage of the Bills’ cap space now, but leaves plenty of flexibility in the years to come. “We definitely are trying to structure it so we’re not having to do crazy cap moves and things like that,” Beane said. “Not to say you never get there, but you try and stay as flexible as you can because it gives you more power and more leverage. “If we’re up against a team who is this close to the cap, now they got to make moves, they have to do things that are not easy. We don’t have to do that. Twice during his press conference Thursday, Beane mentioned the possibility of swinging a trade. After seeing perhaps the best two wide receivers in the NFL get moved this week – Antonio Brown going from the Steelers to the Raiders and Odell Beckham Jr. from the Giants to the Browns – that possibility shouldn’t be discounted. Edge rusher: The Bills hosted former Lions defensive end Ziggy Ansah on a free-agent visit Thursday, a sign that they’re exploring the market for pass rushers. Beane didn’t have a lot to say about Ansah’s visit. Either he’s not very interested – or he’s playing poker. Ansah has 48 career sacks in six seasons with the Lions. He played just seven games in 2018 because of a shoulder injury. There are some intriguing veteran options still on the free-agent market if the Bills want to go that route. In addition to Ansah, the Falcons’ Bruce Irvin, Chiefs’ Justin Houston and Packers’ Nick Perry all remain unsigned. Irvin has 43.5 sacks in his eight-year career, including 6.5 last season split between the Raiders and Falcons. Houston has been even more prolific in his eight-year career, with 78.5 sacks. That includes nine last season in 12 games. Houston hasn’t played in all 16 games since the 2014 season – when he finished with 22 sacks – but he’s productive any time he’s in the lineup. If he was open to a role with a reduced snap count, he can still help any team’s pass rush. Perry was released by the Packers after they brought in other pass rushers. He had just 1.5 sacks last season in nine games, missing seven games because of ankle and knee injuries. Perry has never played a 16-game season in the NFL, so the injury risk in signing him is very real. Tight end: The Bills still only have two players at the position after adding Tyler Kroft, so they will be adding more here, either through free agency or the draft. One option could be former Baltimore Raven Maxx Williams. He turns 25 next month and is a former second-round draft pick who did a nice job as a blocker in 2018. If Beane wanted to make a bigger splash, former Oakland Raider Jared Cook remains unsigned. He would fill more of a receiver role, coming off a 2018 season in which he set career highs with 68 catches for 896 yards and six touchdowns. Austin Seferian-Jenkins, formerly of the Jaguars, is also still unsigned. He played in just five games last season before being shut down with a groin injury, but the Bills have shown they’re not scared off by players coming off injuries. Defensive tackle: Re-signing Jordan Phillips lessened the need here, but it’s still possible Beane would like to add competition for Kyle Williams’ old starting role. The most intriguing name still on the open market is Darius Philon. The 25-year-old started 13 of 16 games last season for the Chargers, making 33 tackles, four sacks and one forced fumble. At 6-foot-1 and 300 pounds, Phillips has shown he can provide an interior pass rush, with 8.5 sacks last season. That’s huge for a defense. Another option could be Timmy Jernigan, a 26-year-old who played just 45 snaps for the Eagles after undergoing serious back surgery 11 months ago. Before last season, Jernigan had started 30 games over the previous two years, making 7.5 sacks. Linebacker: The emphasis here would be on finding depth players who can play special teams. That explains the reported interest in Mark Nzeocha, who made a free-agent visit before deciding to re-sign with the 49ers. 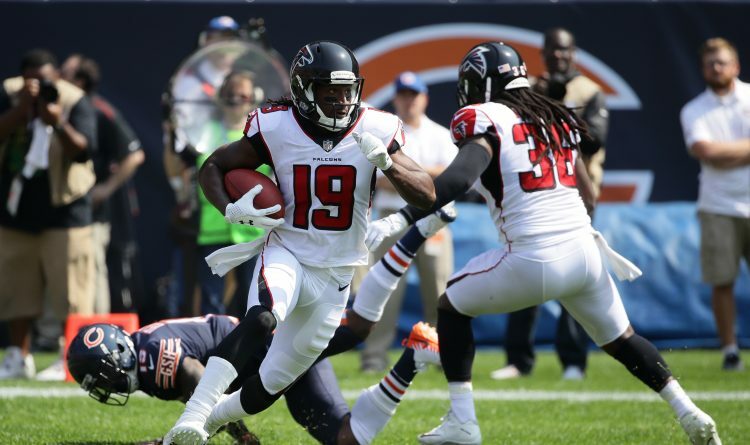 Rebuilding the special teams, which started with the signing of kick returner Andre Roberts, will be a priority in the second wave of free agency. The above-listed needs, with the exception of linebacker, double as a look at which positions the Bills might target in the first round of the draft. Among the names who figure to be in consideration when the Bills pick at No. 9 are offensive tackles like Florida’s Jawaan Taylor and Washington State’s Andre Dillard, Houston defensive tackle Ed Oliver and Iowa tight end T.J. Hockenson.